This is a dish to share with someone special. 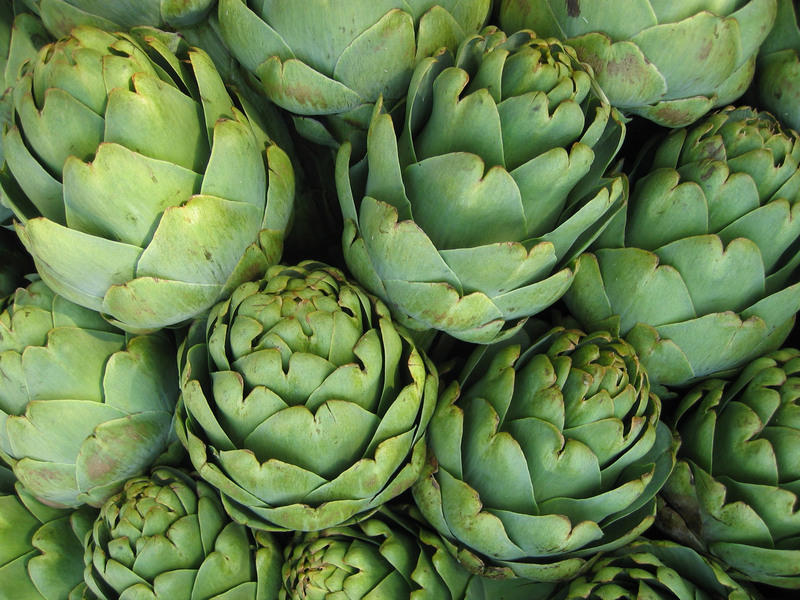 Get rid of your knives and forks and start the evening with finger food, an artichoke with a delicious dip. In a bowl, combine sour cream, mayonnaise, chives, horseradish and salt; chill. Garnish with additional chives. Serve with steamed artichoke(s). Wash and trim stem so artichoke stands upright. Cut off top quarter of artichoke; if desired, snip tips off remaining petals with kitchen scissors. Stand prepared artichoke in deep saucepan or pot with 3 inches of boiling water. Oil, lemon juice, and seasonings may be added to cooking water, if desired. Cover and boil gently, checking water level occasionally, 25 to 40 minutes depending upon size or until a petal near the center pulls out easily.